We successfully participated in the 4th young beef cattle championship, which is open the breeders from Styria and lower Austria. We showed five female Simmentals: Gunna pp and Geisha pp (both daughters of Hedetoft United), Gloriette Pp (daughter of Rocky PP), Franziska P (Campari x Ronni) and Augenweide Pp (daughter of Poldau). All girls did pretty good. 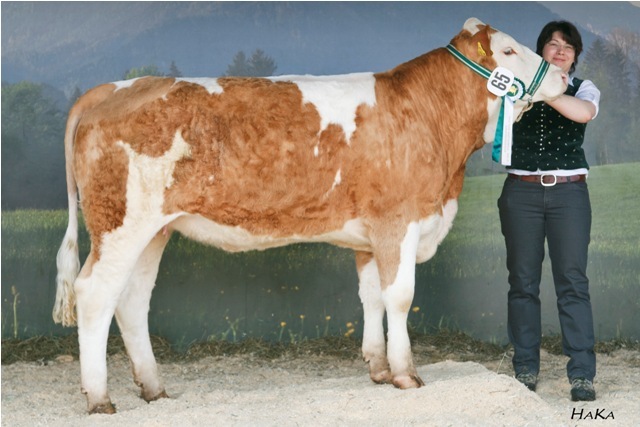 Gunna was second in her group, Augenweide won her group and Franziska not only won her group, but was elected female Simmental Champion too. She successfully followed in the footsteps of Brenda Pp, Augenstern Pp and Boszena Pp- former female Champions. Congratulations to all the other Simmental breeders. 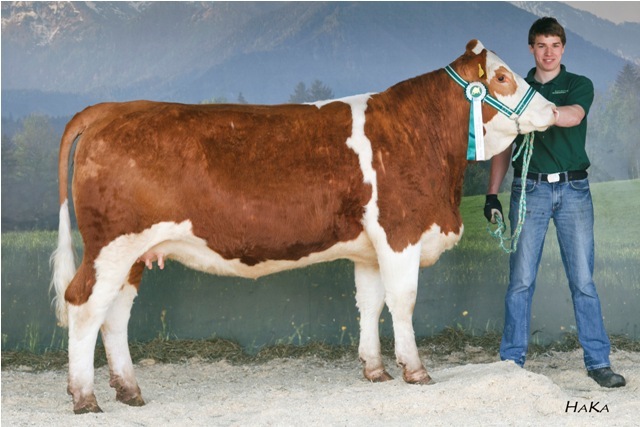 Roland Frühwald won the first group and got the “best muscled female Simmental” title with Leader daughter Bambi. 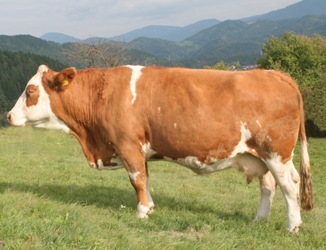 Johann Lienhart won both Champion and best muscled male Simmental with Pluto (Poker x Heraldik), bred by Walter Steinberger. Walter Steinberger’s United heifer Brema was second and elected to best muscled heifer in her group. In the group of the oldest heifer Bruno daughter Falke Pp from Edith Lanner was the best musled heifer.